The U.S. government is so unhappy about a British patent claim on the new civil GPS signal that, if things cannot be worked out, officals might consider abandoning the countries’ interoperable signal structure, sources told Inside GNSS. The British military establishment is seeking royalties from GPS receiver manufacturers, asserting it holds a patent on the technology at the heart of the new GPS and Galileo civil signals. Should U.S. manufacturers have to pay royalties, American GPS users, who have already paid the taxes that make GPS service available to the world free of charge, could find themselves spending more to use its location capabilities. The common signal structure at the L1/E1 frequency, centered at 1575.42 MHz, was developed jointly by the U.S. and the European Union (EU) over a period of years. The signal is meant to make the two systems compatible and interoperable — which benefits both sets of users. “It’s going to have a huge impact on our relations with Europe,” said one knowledgeable source, who asked not to be named because of the extreme sensitivity of the issue. U.S policy is that all navigation signals should be free, another source explained, and the patent claim may chill relations between the United States and the EU, hamstringing future cooperation. Although abandoning the common signal is on the table, said one source, it would be a last resort. Instead, the patent could face a legal challenge, a number of sources told Inside GNSS, or the matter could be worked out diplomatically via the State Department or in military-to-military discussions. The royalty discussions were initiated by the British firm Ploughshare Innovations, a wholly owned subsidiary of the research and development division of the U.K. Ministry of Defense. The firm is asking for remuneration regarding a U.K patent on “modulation signals for a satellite navigation system.” One source, who asked not to be named, said the company was seeking a percentage of receiver revenues. The U.S. government does not appear to have been asked to pay royalties thus far. Ploughshare declined to comment for this article, referring all questions to its parent organization the Defence Science and Technology Laboratory (DSTL). Ploughshare has been open about its quest for royalties and even had a booth at the Institute of Navigation GNSS 2011 conference in Portland, Oregon, last September. Multiple sources, each of whom asked not to be named because of the controversy’s extreme sensitivity, said the firm has been approaching GPS manufacturers for roughly a year. The signal design in question emerged in the work of the Galileo Signal Task Force of the European Commission and underlies both the Galileo Open Service and the new GPS civil signal (L1C) that will be transmitted beginning with the GPS Block III satellites scheduled for first launch in 2014. The task force teamed European and U.S. experts to develop a new signal enabling GPS and Galileo to be both compatible and interoperable. 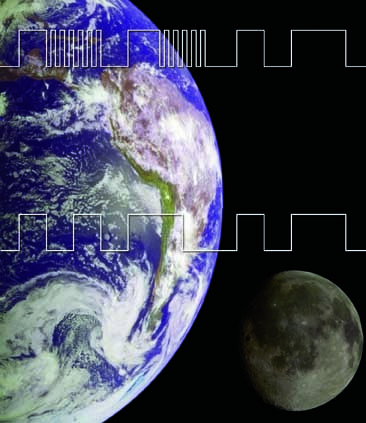 The frequency structure developed by the task force will be used by GPS’s L1C signal and Galileo’s E1 signal. Called MBOC — short for multiplex binary offset carrier — the signal laces a BOC(1,1) signal with an occasional BOC (6,1) signal to work around the limitations created by spectrum crowding and reduce the multipath errors created when signals bounce off reflective surfaces. Although somewhat unclear at this time, it is the interoperable signal structure that appears to be at risk — not the presence of a new civil signal altogether. Patents have been granted in the United Kingdom and Australia, and further patent applications have been submitted around the world including in the United States, the European Patent Office (application number 07012296.5), and the World Intellectual Property Organization (application number WO 2007/148081 A1). Although the primary U.S patent application — number 10/595,128, filed November 15, 2006 — appears to have run into objections at the U.S. Patent and Trademark Office (USPTO), receiving a non-final rejection notice, the application is still under review. Titled “Modulation signals for a satellite navigation system,” the patent filing names the UK Secretary of State of Defence as assignee for the claimed invention. The inventors listed on the USPTO patent application are Tony (A. R.) Pratt, a consultant to the UK government in the development of the Galileo satellite system as well as a member of the Inside GNSS Editorial Advisory Council, and John I. R. Owen, leader of navigation systems, Air Systems Department, and a senior fellow at DSTL. Both men were members of the signal task force. That fact has raised some questions about the timing of the invention and patenting of MBOC and, by extension, the validity of the patent. U.S. officials are now reviewing the MBOC timeline. A DSTL spokesman said the UK priority patent application was filed on Sept. 1, 2003. The concept was presented in a paper at the Institute of Navigation GNSS conference on September 3, 2003, he said. Others suggest the technology had been handled in such a way as to take advantage of the insider status of the two British engineers, perhaps by modifying an existing patent to make it more closely match the new MBOC design. A number of U.S. organizations are now working to figure out what happened and how to address the fallout. Although the United Kingdom is a member of European Union, the EU itself — whose Galileo users could be just as affected as GPS — may not be in a position to do much about the issue. The EU member countries are the “bosses” and independent actors, one source explained, and the EU itself will likely have to handle the matter gingerly. Sources made clear, however, that the patent claim could sharply cool U.S. willingness to continue to work with other nations. Several of those who spoke to Inside GNSS described the patent as violating the faith and trust at the heart of international cooperation. Dee Ann Divis has covered GNSS and the aerospace industry since the early 1990s. She was the science and technology editor at United Press International for five years, leaving for a year to attend the Massachusetts Institute of Technology as a Knight Science Journalism Fellow. She is currently assistant managing editor – news at the Washington (D.C.) Examiner.